Internet Marketing: noun the action or business of promoting, selling products or services online. With the internet growing by the second, the opportunities to promote your products and services are immense, so large that it can seem overwhelming. Some fundamental local campaigns will get you noticed. N.A.P. 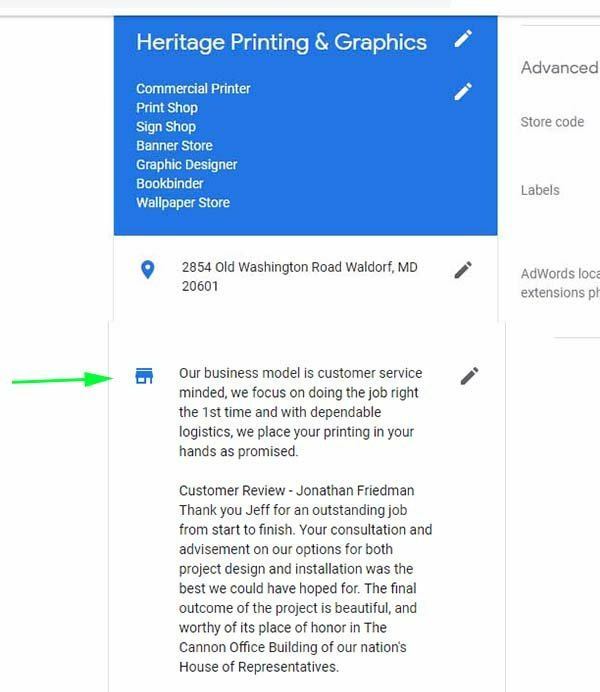 (name, address & phone) is critical, start with your Google My Business (GMB) listing, most citations pull your NAP from your GMB listing, so make certain it’s complete and correct. Choose the most appropriate category as possible for your primary category. If you are unsure, check your competitors listing. List the categories you fulfill, but don’t select misleading categories, it’s better to have 8 accurate categories than 10 category listings with 2 that you don’t fit under. An accurate business description is important, briefly describe what you have to offer. 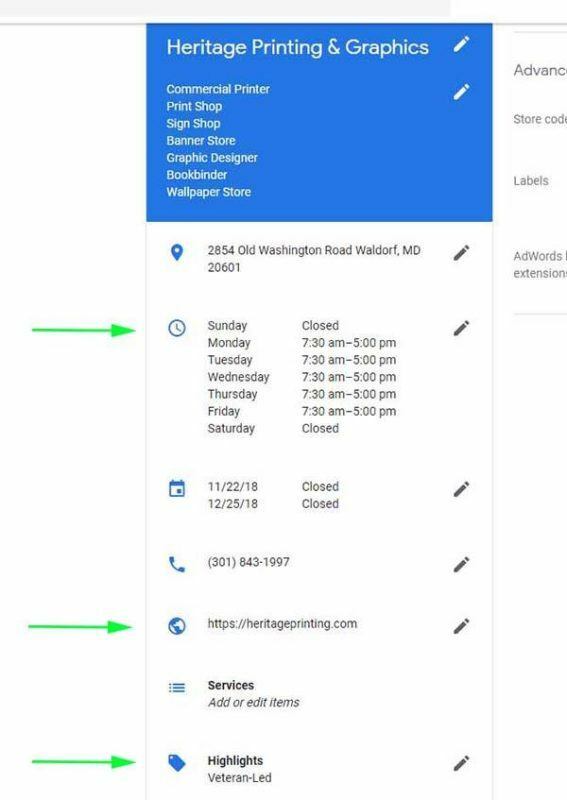 Stay away from long lengthy descriptions, even if the citation (your business listing on a directory) will allow it, people do not want to read your company story, it should be on your website if they do. 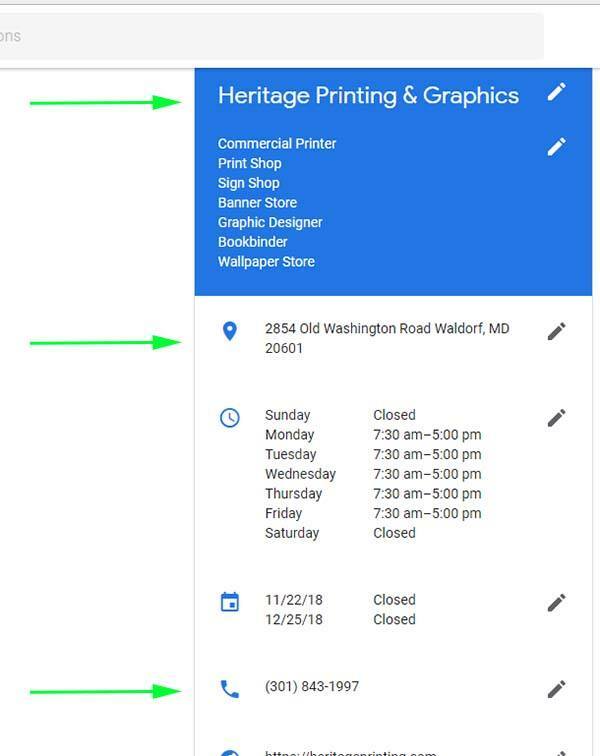 Business hours are often the first item visitors are seeking when searching for your offerings. Make certain that your business hours of operations, even holidays are correct. If you offer after hours availability, add that too. Your website URL (uniform resource locator) AKA domain name, should be a full path, meaning: https://yoururl.com. Notice the S at the end of http, that means you have invested in a secured server, a very important aspect of your website and online visibility. (www. is no longer necessary). If you have a service with a price, add it to your listing. Make certain you keep these updated, having the incorrect price online will do more harm than good. It’s best to leave it blank if you are not going to monitor it. Accessibility is good if you have handicap parking and a ramp. Amenities are another aspect that will persuade visitors to choose your business, Free Wi-Fi and Veteran Led are influencers, use them to your advantage if they apply. List your preferred payment methods, it’s best to provide only the ones you use and omit the ones you do not accept. People will get aggravated when they feel mislead, especially if they are in the purchasing funnel. Photos tell your story visually and may impress your potential visitor. Take the best photos possible of your facility, products and people. Lastly, there are thousands of directories available online, attempting to validate all your listings is an impossible task, BUT there is good news. Focus on your GMB listing first, then your social media accounts, then look at what directories your competition are utilizing and consider claiming those listings. There are SaaS (software as a service) available that will offer you a dashboard that will enable you to populate nearly every field, even videos. Yext has developed a software program that is very robust because they have paid premium accounts with a large number (over 70) of directories. There are agencies that provide a local service too, Whitespark is well renowned for their ability to help businesses with their local presence.